Hundreds of blocks to choose from with more added all the time! Search and filter features make it easy to find what you need. 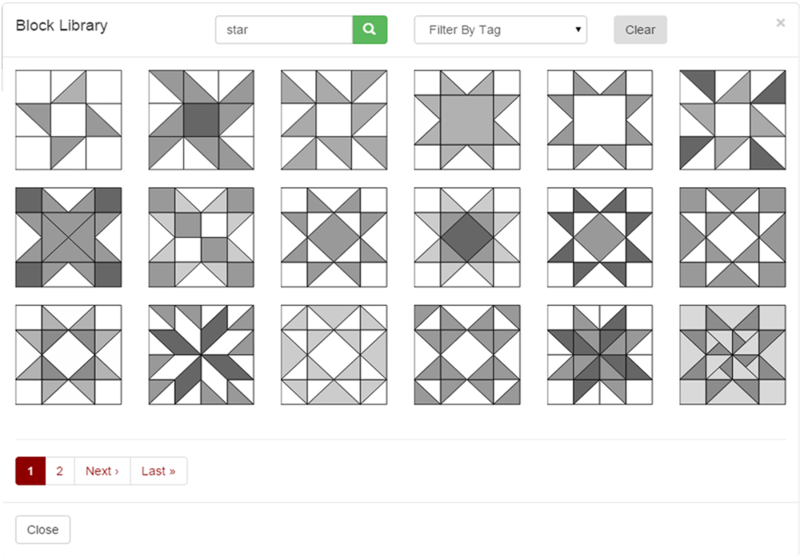 Browse classic quilt blocks, choose, and build your quilt. It's that easy. Choose from our extensive database or upload your own images for a truly custom design. 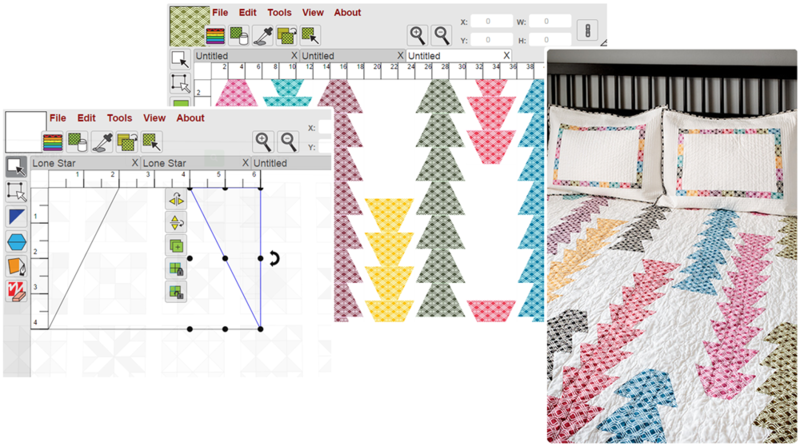 Use the Color Pick and Fill Swap tools to easily change fabrics to reveal new designs and patterns. 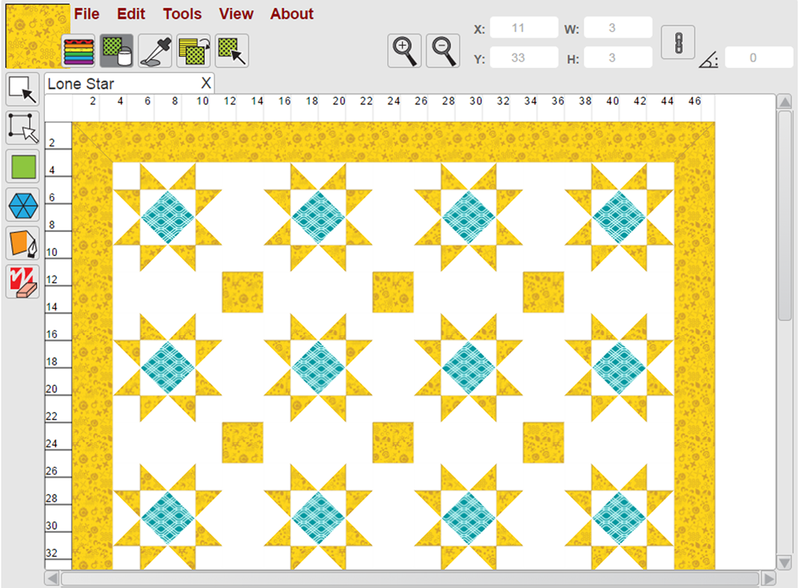 Quilt Canvas is made for quilters - special drawing tools make it easy to make common shapes like half-square triangles, flying geese, and hexagons. Our free-form vector shape tool allows you the freedom to draw anything you can imagine. When you are ready to sew - Quilt Canvas will allow you to calculate yardage, print templates, and sew with confidence.